Put on a gorgeous skirt and let your style flourish. I love the way the patterned leather mimics the strokes on the flower petals. I know it's a silly little detail, but to me, it makes all the difference. This skirt is lovely and so are those sunglasses! Very chic. 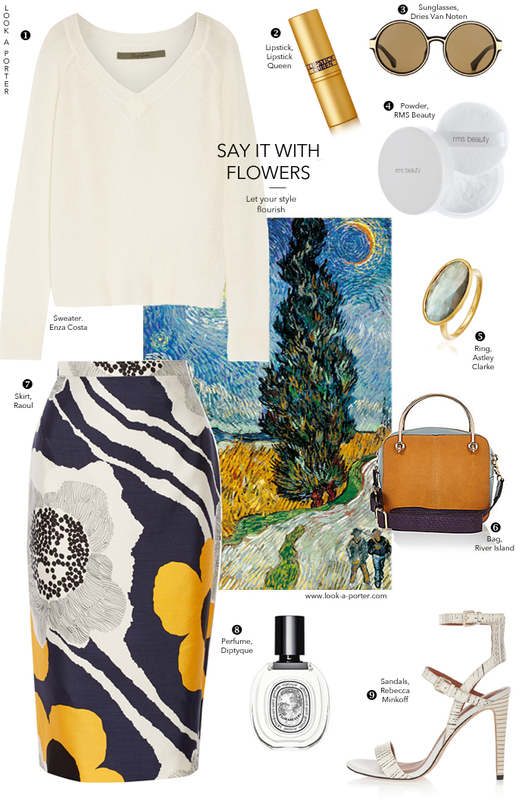 I love,love,love your ideas to ware sweater with floral dress or skirt!